Koryo Saram - The Unreliable People is a one hour documentary film co-directed by Y. David Chung and Matt Dibble. The Director of Photography and Editor is Matt Dibble. The Executive Producer is Meredith Jung-En Woo. German Kim of the Kazakh State University is the historical consultant. All the images below are from the film. c 2006 Y. David Chung and Meredith Jung-En Woo. Koryo Saram (the Soviet Korean phrase for Korean person) tells the harrowing saga of survival in the open steppe country and the sweep of Soviet history through the eyes of these deported Koreans, who were designated by Stalin as an "unreliable people" and enemies of the state. Through recently uncovered archival footage and new interviews, the film follows the deportees' history of integrating into the Soviet system while working under punishing conditions in Kazakhstan, a country which became a concentration camp of exiled people from throughout the Soviet Union. 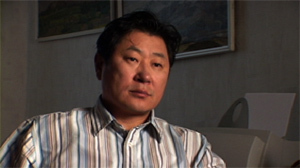 Today, in the context of Kazakhstan's recent emergence as a rapidly modernizing, independent state, the story of the Kazakhstani-Koreans situated within this ethnically diverse country has resonance with the experience of many Americans and how they have assimilated to form new cultures in our world of increasingly displaced people. The film opens with a scene in the spectacular steppe country of Kazakhstan, where musician Jacov Khan is recording an old Korean folk song sung by an elderly Korean deportee. Jacov Khan is collecting Korean folk music to preserve the heritage of the survivors. This scene introduces the viewer to the land and the people, but raises many questions about why and how the Koreans were living in this land so far from their homeland. The film answers these questions through historical photographs and interviews with elderly Koreans who remember the days in Far East Russia before the deportation, as well as commentary from Professor German Kim, one of the foremost scholars on the history of Kazakhstani Koreans. Beginning in the 1860’s, Koreans began to move into what is now Russian territory due to harsh economic conditions and famine in Korea. By the 1900’s 60,000 Koreans were settled in Russia near Vladivostok and Khabarovsk. The Japanese annexation of Korea in 1910 brought a new wave of refugees and by the 1930’s almost 200,000 Koreans were in Far East Russia. Koreans were well established in Russia with collective farms and fishing villages A Korean language newspaper, theater and schools were developed They worked on the construction of railroads and the seaport at Vladivostok. Koreans were appointed at the highest levels of the regional communist party and government. Several thousand Koreans participated in the armed struggle against Japanese encroachment into Russian territory. Many Koreans fought alongside the communists thinking that this would lead to the liberation of Korea from Japan. At the height of the Great Terror, Stalin implemented a plan to move every single Korean living in Russia to new territories in Central Asia. The official reason was collusion with Japan, but it was clear that Stalin wanted to populate these remote Soviet republics. Soviet Central Asia was decimated by a forced collectivization plan to settle nomadic farmers unchanged for thousands of years which caused widespread famine. All 180,000 Koreans were packed into crowded cattle cars to make the 3700 mile journey to Kazakhstan and Uzbekistan. This highly organized, month long deportation is vividly brought to life though the memories of first hand survivors. About 98,000 Koreans were brought into Kazakhstan and disbursed throughout the country to establish collective farms. In the first years, many Koreans were relocated to uninhabited lands without any housing. At a small village named Ushtobe, 34,000 Koreans were brought and thousands lived out in the open steppe, digging holes in the ground for shelter. Others were sent far away to live among nomadic Kazakh herders making their homes in yurts. Native Kazakhs welcomed these Koreans and often assisted them as they settled into their new lives in these remote lands. Mikhail M. Kim’s daughter, Dekabrina Kim, is eighty years old and lives in Almaty, Kazakhstan. She has an excellent memory of life in Vladisvostock, the deportation and the early days in Kazakhstan. Above are two early photos of Ms. Kim and a scene from our film where Ms. Kim is in her kitchen. In our interview with this deportation survivor, we learn her extraordinary story of being banished far into the steppe country to live among a nomadic Kazakh family when she was twelve years old and her eventual career as a medical doctor. Koreans were designated as enemies of the state and “unreliable people”. They were officially restricted in several ways, including travel and military service. During World War II, the Soviet policy of relocating "problematic ethnic groups" was fully implemented. More than 500,000 Germans, tens of thousands of Ukrainians, Poles, Tatars, Chechens and many others were sent to Kazakhstan. In general these groups were kept separated in distinct administrative areas. 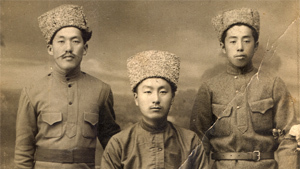 In a similar fate as the Germans, Korean men were unable to serve in the Soviet military and they worked in harsh labor camps in Karaganda, during the war. 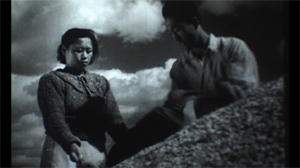 Still frames from “Kolkholz Avant Garde”, a 1946 Soviet film about a Korean collective farm. Despite these arduous conditions, Koreans succeeded in the establishment of collective farms. The survival of the early years and the development of these collective farms is shown through Soviet era footage for which our production has been granted the first U.S. rights. This rare footage was filmed in the “heroic” Soviet style and was intended as a promotional statement about the diverse ethnicities in the remote regions of the Soviet Union. After the death of Stalin in 1953, Koreans were allowed to leave their collective farms and many began to move to the large urban areas to begin lives in professional or administrative fields. 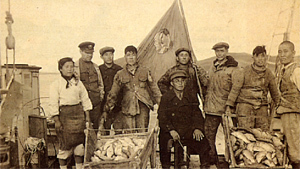 Many Koreans who remained in the collective farms participated in the Virgin Lands program during the Kruschev era. These collective farms were eventually privatized. Today, 100,000 Koreans still live among the “hundred” nationalities that make up modern Kazakhstan. 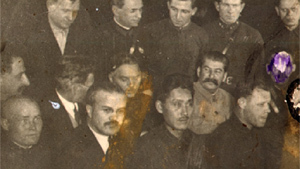 How these Koreans integrated with Soviet society while maintaining their traditional identity along side other deported people is a fascinating testament to the power of cultural heritage. Today, many immigrants struggle with the same questions of inter-marriage, language and customs. In a world where culture is no longer tied to territory, what are the ways people of countries with age-old traditions use to forge an identity from the dominant society? 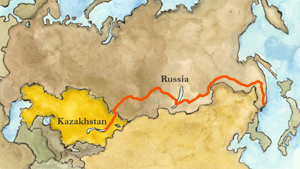 The story of the Korean-Kazakhs sheds light on the legacy of Soviet ethnic policy and provides deep insight into the repercussions of a society made of increasingly displaced people. Elena Ten - a Korean-Kazakh university student. Today many Kazakh youth are faced with issues of culture and language as Kazakhstan emerges to define it's own national identity. 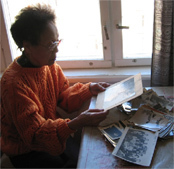 Photos from the Archive of Korean Diaspora and collections of German Kim and Dekabrina Kim. 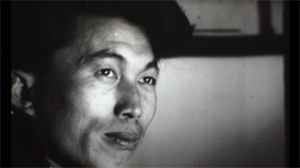 Still frames from Kolkhoze: Avant Garde reproduced by permission of the Central State Archive for Photography and Film Documents of the Republic of Kazakhstan. 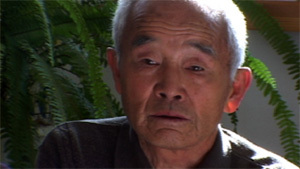 This film has been supported in part by following programs at the University of Michigan: the Center for Korean Studies , the Institute of the Humanities, the School of Art and Design, the Center for Chinese Studies, the Center for Japanese Studies, the Office of the Vice Provost for Research and the International Institute's Advanced Studies Center. Additional support has been received from the Nam Family Gift, the Overseas Koreans Foundation, the Kang Family Foundation and Douglas and Sabrina Gross. The filmmakers have worked closely with the Association of the Koreans of Kazahkstan and would like to thank them for their hospitality, time and generosity. David Chung would like to express special appreciation to Tokjan Balderston who first introduced him to Kazakhstan and the work of the Central Asian Cultural Exchange, the MOST Art Organization, Pooh Johnston, Charles Tobermann and Roksonaki. Thank you to all.